Diary of a Real-Life Veterinarian: Advice To New Vets. My Top 10. Advice To New Vets. My Top 10. Pickles prep for neuter. Scabby Katie watches on. 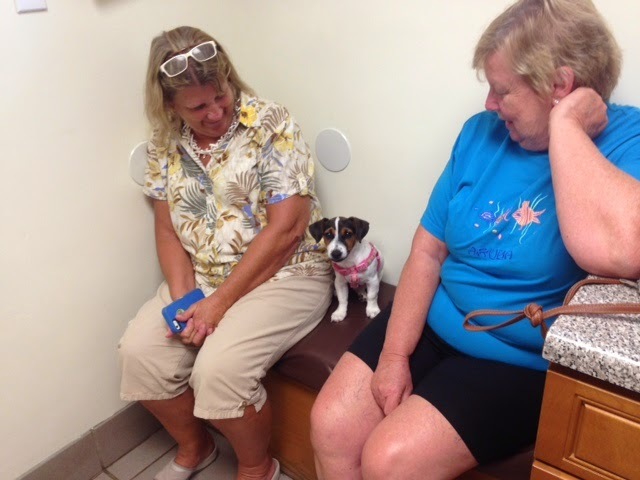 I have owned my clinic, Jarrettsville Veterinary Center, for 12 years. I have hired about a dozen veterinarians in that time. Had anyone ever told me that I would be assessing so many vets over such a short period of time I would have never believed them. Why we got to where we want to be. Penny Lane sits pretty for a treat. I remember vividly sitting in the large senior veterinary student lecture hall days before graduation about to be shoved out of the safe veterinary college nest, ready to test my wings, full of new life, vigor, lust for cases, and hungry to put books skills into real-life cases. We were getting a few last minute words of wisdom from the college Dean, who humble and genuine as he was, had never worked a day in private practice in his long tenured career. He stood above us lecturing on about “the world being our oyster and the horizon limitless.” I’ve no doubt it was the same sending off speech he had given dozens of times before. Each of us sat listening with our bloated with a stomach full of butterflies, the unknown of it all, and the anxiety of change upon us. I had been a college graduate before and I had a small suspicion that I would be heading to some suburb of Maryland to save dogs and cats. I knew myself well enough to whisper out loud that I wanted to own my own practice. Still I listened. Eager for any tidbit of sage advice to stuff in my pockets before I headed North to hang my vet shingle. The advice I got was about "planning". He reminded us via poetic euphemisms about "picking a path along a road map of dusty dirt packed streets, and, not being afraid to follow previously paved roads established by our elders, and toll road speckled interstates we were about to embark upon." He also illiterated about using the knowledge we had been given, sharing the skills we were still sharpening, and keeping our minds open to new innovations, new advances, and the magic of medicine. 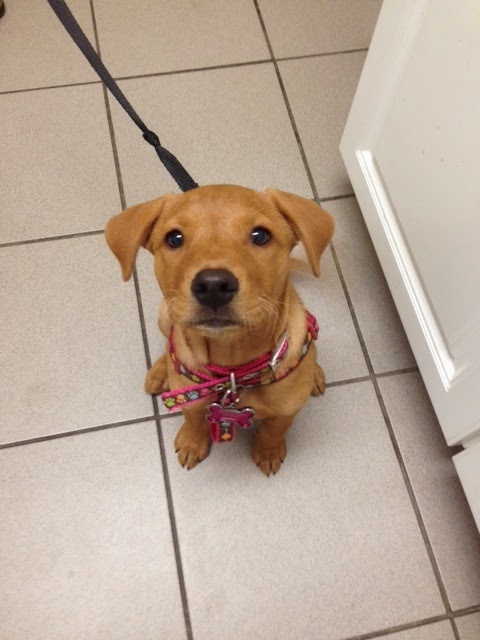 Lucy waits for her next puppy vaccine. Safely between her mom and aunt. 1. Be humble. That’s a big one as you march forth with your wet diploma. Your client has a pre-conceived notion of what a great vet is. Humble is a part of that. 2. Be kind to everyone. Even the A-hole you want to drop kick when he yells at you for not giving his “rescued” cat a free neuter. It will pay itself forward I promise. And you will someday look back on all of your accomplishments and realize these cases were the most difficult and the most rewarding. 3. Be true to who you are. You don’t have to be anyone’s veterinarian except your own. In the end, and there is always an end, you will walk away alone. Just like you started. 4. Make decisions with a clear conscious and not an ultimatum from a client or a boss. You will retire with some ghosts and skeletons in your closet. Accept this, and relieve your burdensome conscious by at least knowing that in your heart you did what you thought was right and good, and not influenced by anyone or anything else. Other peoples definition of what or who you are supposed to be are whispers in the dark and rarely guide you in the direction you are meant to travel. If you show fear, doubt, or indifference you will build a persona of being the vet to the one timers. Transient people who make decisions based on coupons in newspaper inserts and will leave you as fast as they arrived. 5. Be brave. If you get out of school feeling a bit overwhelmed, under prepared, and over wrought with expectations, jump in anyway. If you don’t you never will. A year will go by and your reluctance to perform that emergency GDV surgery will become your crutch to refer these cases to specialists. Become a second set of hands to every single surgery that happens under your roof. Put term limits on apprenticeship regardless of the self-doubt and jump in. 6. Be an advocate for something. A rescue organization, a cause, a disease, a political figure, your community, something outside of your family and your paycheck. You will need a pocket full of favors somewhere in life. When life is firing you challenges from the muzzle of an M16 lean on these people. They will be your support and get you through the darkest days. We live in a profession where grief, despair, and suicide lurk. Keep a secret army under your white coat and use them. Your friends need to feel the same sense of purpose and empowerment that we get to feel every day. You save a parvo puppy you feel empowered, share that sense of purpose, let someone save you, it is the meaning of a veterinarian’s life. 7. Understand your clinic’s mission statement. You won’t know which way to paddle if you don’t know where the clinic is trying to go. If every new vet had a clear understanding of this cornerstone of their employers purpose the BS associated with negotiating CE, and every other line item of the employee contract would be avoided. Stop being focused on minutia details like 'modern vet equipment', 'time off', and 'allowances'. If your practice in solely rooted on a profit-loss statement then everything in your professional life will be too. If you are a vet who is more than the practices mission statement move on. A bad fit is never going to be anything at better than a 'tolerable' fit, and even that will at some point become intolerable. You can do better. 8. Understand your colleague’s motives. They are your best key to success and enjoyment in practice. Understanding the core of every person affords you the ability to build strong healthy relationships. You don't all have to be great at everything, but, it is super helpful if you are diverse in skill sets and work like a team. Not everyone can be the lead singer, or quarterback. 9. Understand your bosses perspective. You will be asked to make decisions when they are not around. Ask for guidance as often as you can so you can make the split second decisions solo when the time comes. 10. Don’t burn any bridges. This is a small tight knit community and word gets around. People will respect you for being opinionated but never vindictive or maniacal. And when all fails, find a critter to love. 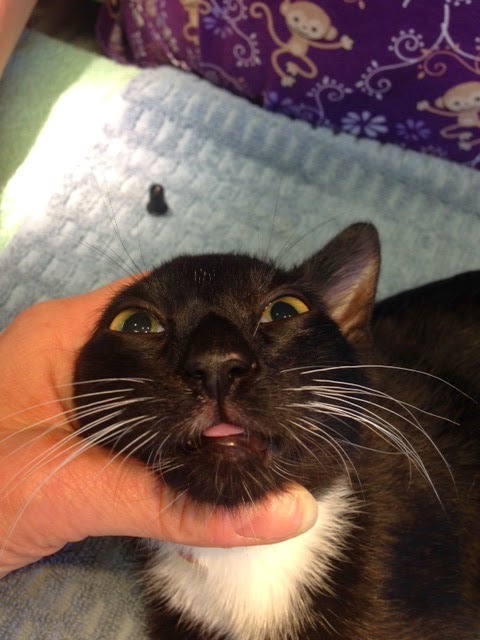 One of our TNR kittens sums it all up. Why Would I Hire You? My rant on hiring a technician. Compassion Fatigue. When the candle you are burning at both ends consumes you. Taking A Stand And Facing Consequences. If you have a pet question you can find me on Pawbly.com. I am happy to answer any pet related question, or you can assist others in their pet care needs by contributing your time and expertise. We are always free to use. If you would like to learn more about us you can find us online at JarrettsvilleVet.com, on Twitter @FreePetAdvice, or on Facebook, where we have inspiring stories about pets and vet life. I also have a YouTube channel where I discuss cases, conditions, and what to do if your pet needs help. These are good tips for people starting a career in any field. I hope new veterinarians take your advice. I especially like the idea of them becoming an advocate for something. I helped start a rescue group nearly 15 years ago and we were told that no veterinarians would support our cause or volunteer. The naysayers were wrong and today we have new volunteers and some of the vets who started with us. Amazing list. You also definitely picked the right one for #1. It's too easy to buy into the hype that one person really can know and and fix it all. It's a team sport and you want all the help you can get, including your client's. Follow My Every Move Here! Which Kind Of Vet Would You Be? Suggestions For The Cash Growing On Your Trees. Beagle Freedom Project. Minnesota Saves Lab Dogs.